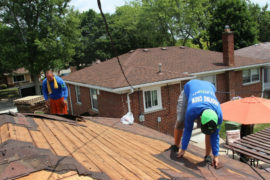 As a homeowner, it’s always recommended to take a proactive approach to roof repairs and roof replacement in Dearborn Michigan. Be on the lookout for red flags such as loose shingles, cracks, and sunlight coming through your attic. 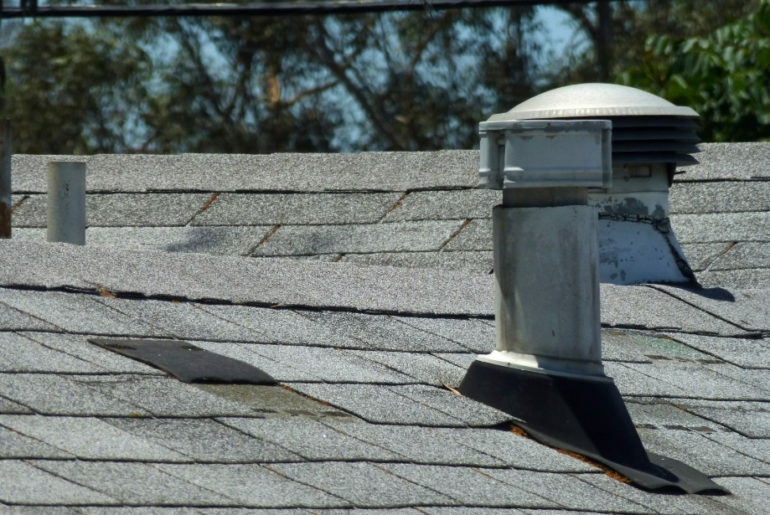 If you notice any of these problems, you need to repair your roof before they become widespread and cause more damage. Making sure your roof is in good working order can ensure it will last a long time and protect your home as it was designed to do. Listed in this article are some key indicators that there is a problem on your home’s roof and that you’ll need a qualified roofing contractor in Dearborn Michigan to inspect the roof and make repairs or replace the roof. The roof is a vital part of your home’s structure – it protects you from outside weather and keeps your home dry. Damage to the roof is like a domino effect. Not only will the roof suffer damage, but also your attic, interior walls, and flooring. Only professionals such as Roofing Dearborn should assess the condition of your roof. Any reputable roofing company can inspect your roof and advise if there are any repairs needed. Never attempt any do-it-yourself roof repairs because there’s a high risk of injury. Leave it to the professionals such as Roofing Dearborn. Missing or damaged shingles are a good indicator that your roof needs repair or replacement. While you can secure or replace shingles, damage could be a sign of an underlying problem. For example, a roof nearing 20 years-old could have multiple loose shingles. If it’s a widespread problem, then a new roof would be the best route. If you don’t call a roofing company in time, your house may suffer damage below the surface. Even the slightest drop of water is a big warning sign. During the winter, for example, backed up water can create an ice dam. Since the dam prevents water from dripping off the roof, the water leaks through the roof and damages insulation, interior walls, and floors. As the snow melts, the problem will only get worse. At Roofing Dearborn we can install roof ice dam protection to help combat this problem. Roofs aren’t built to last forever – just like siding and windows, you need to replace your roof after a certain amount of time. Over the years, your roof will deteriorate slowly due to outside forces. The typical asphalt roof last around 20 years. Although roofs don’t have a set lifetime, you should keep a close eye on your roof when it nears the 20-year mark. Any light that’s seeping through the roof shingles and into the attic can be a major problem. This could be due to storm damage or loose and cracked shingles. If you don’t repair these openings quickly, water will leak through the cracks and damage the inside of your home. A professional contractor can inspect your attic and identify light coming through the roof. Not only are mold and algae an eyesore from the street, they also bring down your home’s value. If you live in a wet and humid climate, you’ll likely see mold and algae build up on your roof. Once they build up, mold and algae spread across the roof like wildfire. In the worst-case scenario, they can start to spread into your house or jam your gutters. 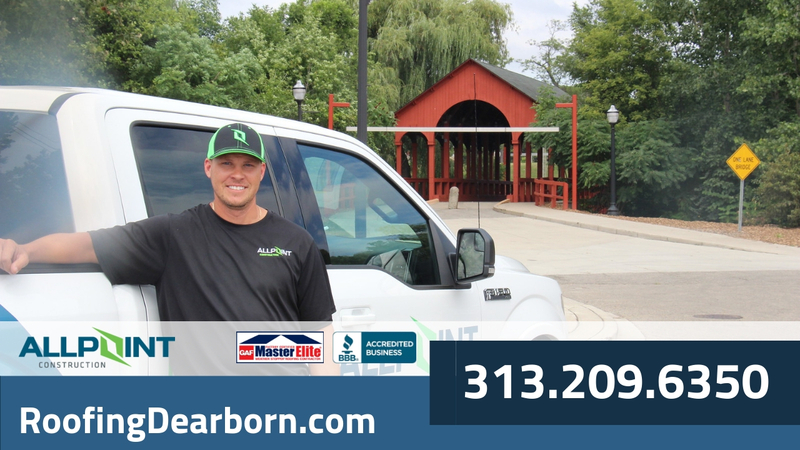 If you notice any of these signs, it’s vital that you either repair or replace your roof in Dearborn Michigan as soon as possible. 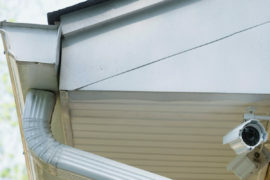 Not only will you protect the inside of your home from damage, but you’ll also save your roof from more serious damage. Attempting to repair or replace your roof by yourself is dangerous and you should avoid doing so at all costs. 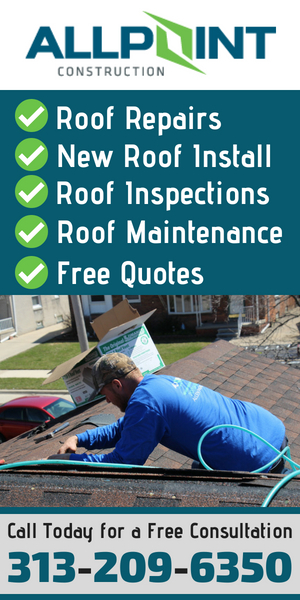 To get your roof repaired by an industry professional in Dearborn Michigan, call Roofing Dearborn at 313-209-6350 today.